The New Zealand International Doctoral Research Scholarships (NZIDRS) offers full tuition fees plus living stipends for up to 36 months for international students to undertake PhD study at a New Zealand university. The NZIDRS Scholarship reflects New Zealand Government’s commitment to deepening educational partnerships. The country's education system provides students with the knowledge and skills to achieve results equal to the world’s best. The scholarship programme is about sharing this excellence with the rest of the world, and bringing the best from elsewhere to share their knowledge with New Zealand. Funded by the New Zealand Government and administered by Education New Zealand, the NZIDRS scholarships are a significant educational opportunity. Recipients are selected upon Academic Merit. Applications for the 2017 Round of the NZIDRS will open later this year. be a citizen of any country except New Zealand, Australia and Fiji. You must not hold citizenship or PR status in New Zealand or Australia. AUT University, Lincoln University, Massey University, University of Auckland, University of Canterbury, University of Otago (see also University of Otago Doctoral Scholarships), University of Waikato, Victoria University of Wellington. Recipients can undertake PhD study in any discipline. The NZIDRS scholarships are awarded for a maximum tenure of three years (36 months) in relation to full-time study for a doctoral research degree. The NZIDRS provides full tuition fees, plus living and other allowances for successful applicants. Allowances would include Annual living allowance, Annual health insurance allowance, Book and thesis allowance – across 3 year tenure, Travel allowance and Establishment allowance – once only. Please note that funds are not available to support accompanying dependants. New Zealand offers a stimulating and internationally trusted academic environment, exceptional living conditions and is a recreational paradise! Education New Zealand (ENZ) is not a university or an immigration agency. All candidates are responsible for their own university admission and visa process. Applying for the NZIDRS and applying to study at a New Zealand university are two completely separate processes. You need to contact your chosen institution, or institutions, directly; for detailed advice and instruction regarding course selection and enrolment. The institution website is usually the best place to start. In order to apply for the NZIDRS, you must have already received a non-conditional offer of place for PhD study at a New Zealand university. Thereafter, download and complete an NZIDRS Application Form (available on the official website). Answer all questions on the form by completing all fields and submit your form along with ALL required documents to Education New Zealand by the deadline date below. Be sure to read the NZIDRS Terms and Conditions (available on the official website). 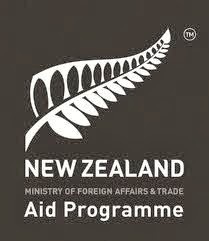 Applications must be received by Education New Zealand no later than 5pm (NZ Time) on 15 July each year. In those years where the 15th falls upon a weekend, applications will be accepted until 5pm the Monday immediately following the 15th. Applications for the 2017 round will open later this year, and will close on Monday 17 July 2017. Education New Zealand (ENZ) is not a university, it is a government body that supports the international education sector in New Zealand. Unfortunately, ENZ cannot facilitate or participate in your admission to a New Zealand university. Candidates are responsible for applying and gaining admission to a university in New Zealand, and must produce evidence of this as part of their NZIDRS application. The NZIDRS is a highly competitive scholarship. The requirements and criteria listed on this page are non-negotiable. Applications that are ineligible, incomplete, or do not meet the selection criteria cannot be considered under any circumstances. Mainly the success approaches to those ideas.